Day 97. In Search Of The Perfect Campsite. February 7, 2016. Lake Tekapo km 2385 to the side of Lake Pukaki km 2416. Sleeping in my tent worked out great. I got condensation as I knew I would…. lawn, near a lake and no wind. But I had lots of time plus a clothesline to dry it out. I spent the morning eating, updating this blog and buying 2 days of food in a tiny 4 Square. About 2pm I talked to Jared from South Africa. He is doing the TA nobo. 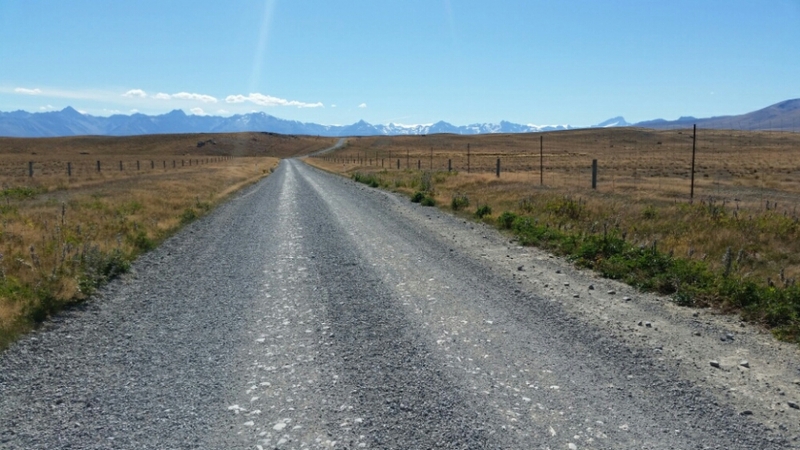 He hired a bike from Twizel to Lake Tekapo because his foot hurts and it’s 70 km of road. The 3 other Californian women are also biking it. I called the company he used. They could get me a bike by 3:30. That should be plenty of time and a nice time of day to ride. I made sure I could get a bed in Twizel then called the bike company back. He took all my info and then figured out he couldn’t get the bike to me til 5:30. Grrrr. Too late. I called another company and it was also a no go for today. I didn’t want to wait til tomorrow and the hostel and probably every other place in town was fully booked. So I was back to my original plan. Walk. 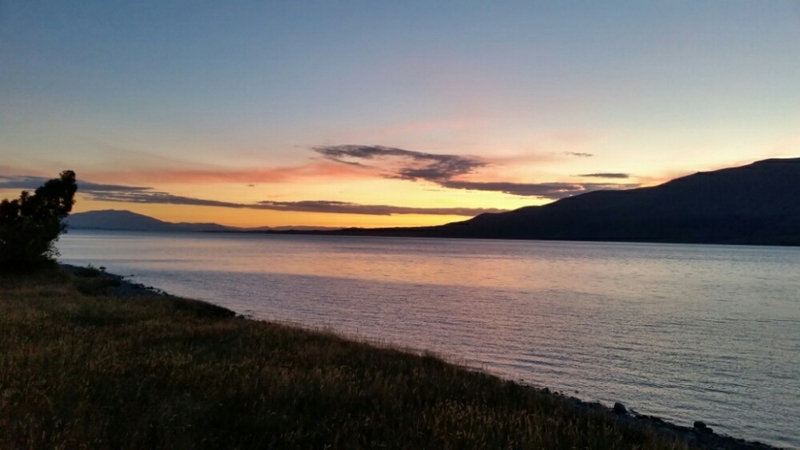 I left Lake Tekapo at 3. The first 5 kilometers were on a busy road. Then it was gravel and 5 cars the rest of the way. 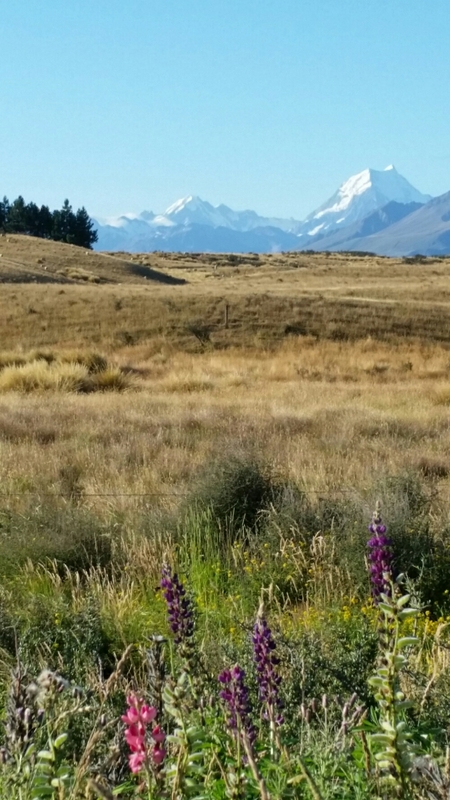 I had great views of the Southern Alps and wondered which one was Mt Cook. I keep meaning to look at a photo when I’m in town but I keep forgetting. Beautiful road walk. 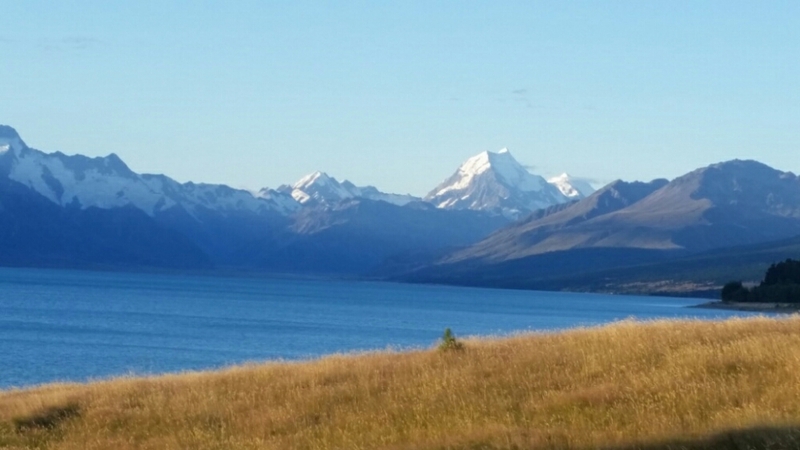 Which one is Mt Cook? Then I saw IT. No question about which one. 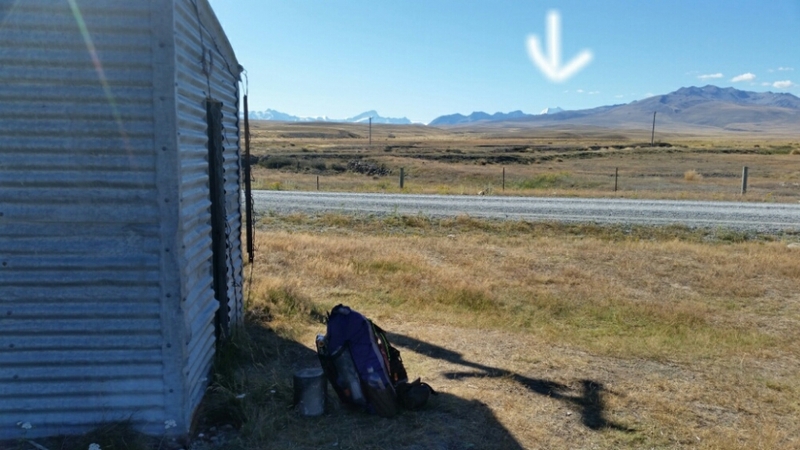 My original plan was to walk to the telephone hut, an old 2 person hut on the side of the road about 13 km from Lake Tekapo. 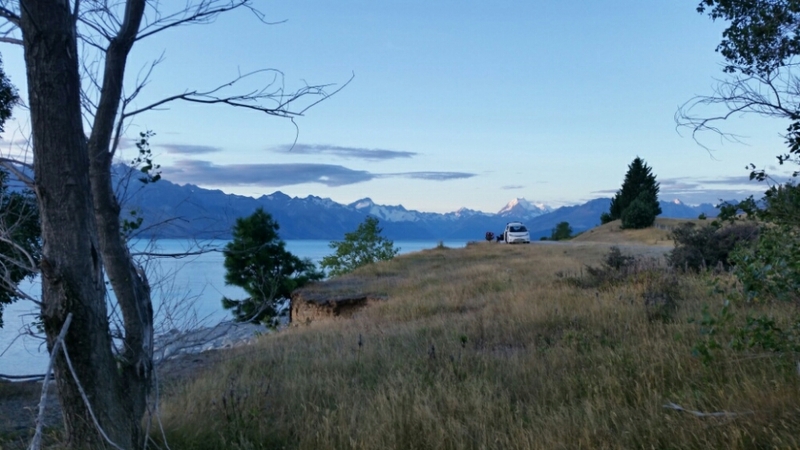 I got there at 5:30 just about when I saw the tip of Mt Cook. I wanted to see if I could get a better view of it today since there were no clouds around it. So I kept walking. And walking. I took so many photos because I wasn’t sure if the road would turn in such a way that I couldn’t see it anymore. It kept getting better and better. 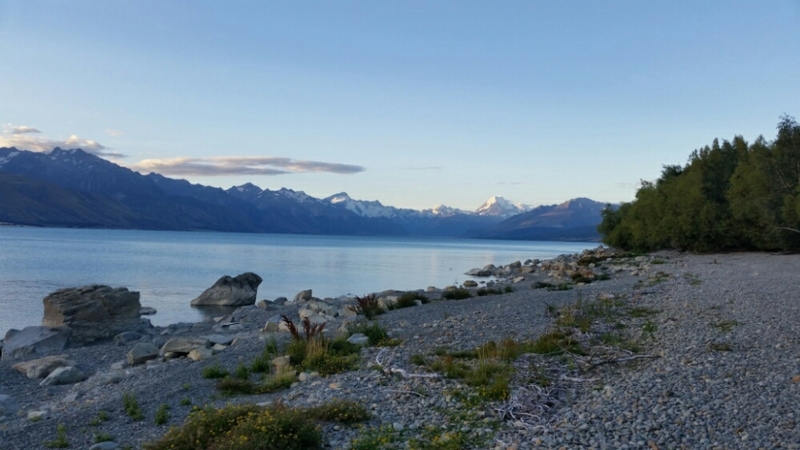 Once I got to Lake Pukaki I started to look for a place to camp and see the mountain. At first fences were on both sides of the road. That finally ended on the lake side. I walked over to the lake where there were some trees and a great view of the mountain. Then I heard voices and saw a tent. It was 2 Canadians (not Brett and Sean) who are nobo on the TA. I felt like an intruder so I kept looking. If I had a free standing tent I could have set up on the rocks. My next perfect spot was close to the road. It had a van parked there for the night. The van would be between me and the mountain. I kept walking. The great thing about walking further is that I saw the mountain with great lighting from so many spots. Plus the sky over the lake was constantly changing. The road started turning away from the mountain and lake so I backtracked a bit. I didn’t get the perfect campsite but I had fun looking for it. There wasn’t much light left to enjoy it anyway. I finally stopped at 9:30. 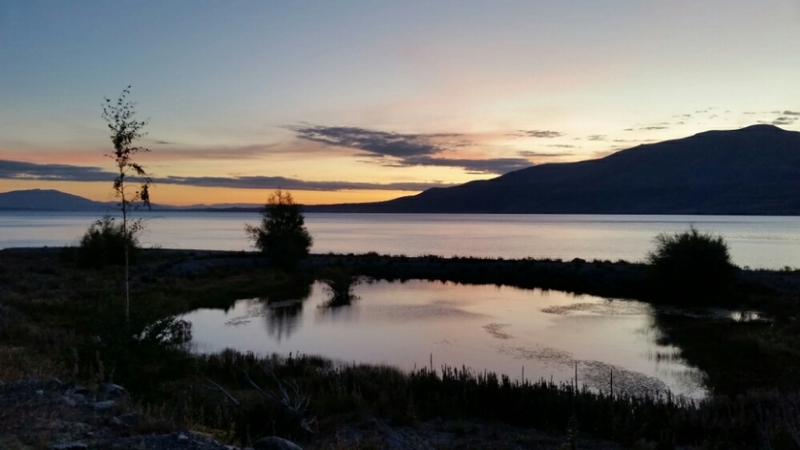 The light was gone from the mountain but still great over the lake. And now I have less to walk tomorrow. 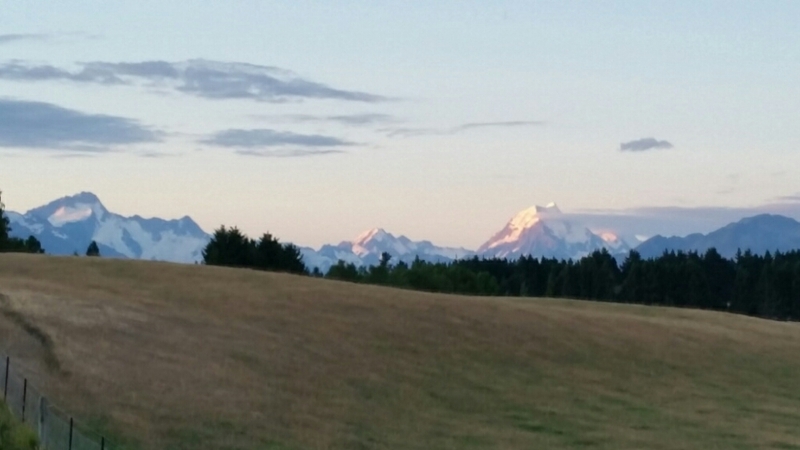 This is my view a few steps from my tent…. The stars are out. I hope I can wake up for sunrise. 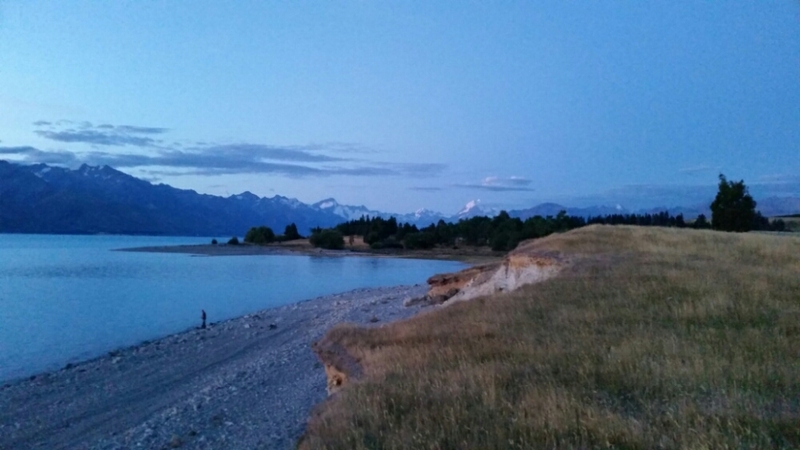 This entry was posted in Te Araroa, New Zealand 2015-16 on February 8, 2016 by nancyhikes.